Baylor University’s 25 inaugural McNair Scholars are ready to soar, like the program’s namesake Dr. Ronald E. McNair, a laser physicist and NASA astronaut who was inspired to work hard and persevere in his studies by his family and by a teacher who recognized and believed in his scientific potential. Baylor is in the first year of its five-year, Department of Education-funded grant to implement the Ronald E. McNair Postbaccalaureate Achievement Program, known as the McNair Scholars program, which prepares low-income, first-generation and/or other underrepresented students to successfully navigate a path to a Ph.D. program following graduation from Baylor. 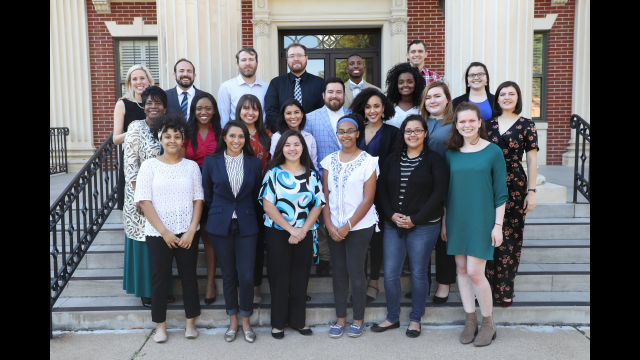 Through the Baylor McNair Scholars program, students are immersed in research and a variety of other scholarly activities, with an eventual goal of increasing graduate degree awards for students from underrepresented groups. Baylor’s grant funding will support 25-30 students each year with substantial mentoring and community building along the way. Among the benefits of being a Baylor McNair Scholar are faculty mentoring, a paid summer research internship, seminars and professional development workshops, conference travel opportunities, GRE® test preparation and graduate school application assistance. Baylor faculty who serve as mentors act as “a guiding light” for students in multiple ways, Fernandez said. Like Fernandez, Lakia M. Scott, Ph.D., assistant professor of curriculum and instruction in the Baylor School of Education, was a first-generation college student and understands how programs like McNair identify potential in students “well beyond what they can see presently.” Scott has been involved with the Baylor McNair program from its beginning as a member of the grant-writing team. Now Scott is invested as a faculty mentor for Olivia Moses, a senior elementary education major and McNair Scholar from Arlington, Texas. “If you would have told me early in my undergraduate career that I would have a Ph.D. and still be at an institution working and loving research, I would have thought you were crazy, because I couldn’t see beyond where I was at the time and my circumstances somehow contributed to that line of thinking,” Scott said. Olivia Moses, Major: Elementary Education, Faculty Mentor: Lakia M. Scott, Ph.D.
Roberto Hernandez, Major: Management Information Systems, Faculty Mentor: Pedro M. Reyes, Ph.D.
Feven Iyassu, Major: Biochemistry, Faculty Mentor: Patrick J. Farmer, Ph.D.
Andrea Brown, Major: Accounting, Faculty Mentor: Gia Chevis, Ph.D.
Ryan Reynolds, Major: History, Faculty Mentor: Stephen M. Sloan, Ph.D.
Micah Johnson, Major: Neuroscience, Faculty Mentor: Michael K. Scullin, Ph.D.
Aime Hogue, Major: Political Science, Faculty Mentor: David Bridge, Ph.D.
Kenneth Kyle Williams, Major: Electrical Engineering, Faculty Mentor: Mack Grady, Ph.D.
Treasure Ramirez, Major: Economics/Public Health, Faculty Mentor: Emily R. Smith, Ph.D.
Sylvia Conatser, Major: University Scholars/Russian, Faculty Mentor: Jennifer L. Good, Ph.D.
Joshua Robinson, Major: Biochemistry, Faculty Mentor: Daniel Romo, Ph.D.
Mara Fields, Major: Anthropology, Faculty Mentor: Joseph Ferraro, Ph.D.
Bella Mahler, Major: History, Faculty Mentor: Bracy V. Hill II, Ph.D.
Kaleigh Reid, Major: History, Faculty Mentor: Andrea L. Turpin, Ph.D.
Jacqueline Carroll, Major: Biology, Faculty Mentor: Bessie W. Kebaara, Ph.D.
David Chapman, Major: Biology, Faculty Mentor: Myeongwoo Lee, Ph.D.
Dalton Jones, Major: Psychology, Faculty Mentor: Jaime Lugo, Ph.D.
Alijah Pecina, Major: Corporate Communication/Business Administration, Faculty Mentor: Leslie A. Hahner, Ph.D. Precious Mathis, Major: Psychology, Faculty Mentor: Melanie J. Sekeres, Ph.D.
Baylor’s McNair Scholars will have their first opportunity to present their summer research during the inaugural McNair Research Symposium from 4 to 6 p.m. Tuesday, Sept. 18, in the Beckham and White Rooms in the Bill Daniel Student Center. Most graduate schools waive the application fee for McNair Scholars across the country, which can add up quickly, Fernandez said. “Very few don’t waive the application fee, because they see the potential of these McNair Scholars, not only are they coming in with mentored research, but also because they’re students who have the qualities and grit necessary to succeed in competitive programs, such as McNair,” he said. Applications for the next class of McNair Scholars are open on the McNair website. The deadline to apply is Nov. 28, 2018. Interest sessions are scheduled at 5 p.m. Sept. 25 (Fentress Room, SUB), Oct. 1 (Fentress Room, SUB), Oct. 18 (Lipscomb Room, SUB) and Oct. 23 (Fentress) Room, SUB). The program also offers a Pre-McNair Academy, which provides eligible freshman, sophomore and junior students with a one-year introduction to the process of the McNair Scholars Program. Pre-McNair Academy students who participate in the required activities may be eligible for priority consideration to the McNair Scholars program, once eligible and meeting the standards for admission. Baylor’s McNair Program substantially builds upon resources that the Paul L. Foster Success Center has been working on to support underrepresented students, said Sinda K. Vanderpool, Ph.D., associate vice provost for academic enrollment management. Rachel Renbarger, an educational psychology doctoral student and former McNair Scholar, served on Baylor’s grant-writing team and credited the McNair Program for her success. Dr. Ronald McNair was born in 1950 in a low-income community in South Carolina, graduating as his high school’s valedictorian. He earned a Bachelor of Science degree in Physics from North Carolina A&T State University and enrolled in the prestigious Massachusetts Institute of Technology. In 1976, at the age of 26, he earned his Ph.D. in laser physics. Because of his many accomplishments, he was selected by NASA for the space shuttle program in 1978 and became the second African American to fly in space when his first space shuttle mission launched successfully from Kennedy Space Center on Feb. 3, 1984. Two years later he was selected to serve as mission specialist aboard the ill-fated U.S. Challenger space shuttle. He was killed instantly when the Challenger exploded. Dr. McNair was posthumously awarded the Congressional Space Medal of Honor. After his death, members of Congress provided funding for the Ronald E. McNair Post-Baccalaureate Achievement Program, dedicated to the high standards of achievement inspired by Dr. McNair’s life. Their goal was to encourage low-income and first-generation college students, as well as students from historically underrepresented ethnic groups, to expand their educational opportunities by enrolling in a Ph.D. program and ultimately pursue an academic career. Throughout his lifetime, Dr. McNair encouraged students to strive to achieve their dreams. “Whether or not you reach your goals in life depends entirely on how well you prepare for them and how badly you want them. You’re eagles! Stretch your wings and fly to the sky,” Dr. McNair once said. For more information about the Baylor McNair Scholars program, visit www.baylor.edu/mcnairscholars. 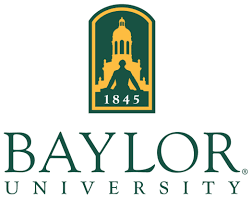 ~ Story originally posted on Baylor University News on September 13, 2018.